Owens Leasing, Inc is an Independent Agent for Landstar System, Inc..
Charles Randall “Randy” Owens, 67, our beloved husband, dad, papa, great-grandpa and friend went home to be with his Lord and Savior on October 2, 2017. Randy was born in Winchester, Indiana on February 13, 1950. He lived the first 13 years of his life near the family farm in Muncie, Indiana. He moved to the Houston area in 1963 where he lived the remainder of his life. Growing up, Randy was an accomplished athlete and excelled in both baseball and basketball. 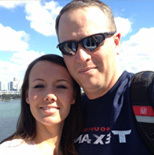 While playing sports in High School, Randy met the love of his life, Debbie. 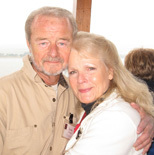 They immediately fell in love and were married on July 27, 1968. From 1969 – 1972 he served his country in the United States Air Force. In 1976, he began to work at his father-in-law’s trucking company. Randy and his wife Debbie founded Triumph Trucking Inc., making it into a very successful and profitable company before selling in 1990 to pursue another transportation venture. Randy formed Owens Leasing in 1988 and it has been operated since 1990 as a contract agency and was leased to Ace Transportation from 1990 to 1994. In 1994, Randy and Debbie were approached by Trism Specialized Carriers to form an Owner/Operator and Agency division for their company. Randy built the O/O division to one of the most reputable in the country. Randy also handled all Houston terminal operations for Trism from 1998 to 2000, while they were in the process of hiring someone for that position. In August of 2001, after many meetings with Landstar System, Inc., Randy moved Owens Leasing from Trism to Landstar, finally finding the home we were looking for. After over 15 years at Landstar System, Inc., Owens Leasing has been one of the top-producing agents of the 1200 agents nationwide. Randy led the company until his passing this year, when Rick assumed the role of President and now leads the company in the day to day operations. Debbie remains the CEO/Owner. Randy’s greatest passion was Jesus, and it was evident in his life by the way he loved and led his family. He treasured spending time with them. You would regularly find him spending hours with his grandkids watching their favorite animated bible videos, attending their activities, and making memories at the ranch. He was deeply loved by his family, never met a stranger, and for the last 15 years (together with his grandkids) welcomed people as they entered Sagemont Church. Rick began in the transportation industry at 15 years old, working part time and learning the business. In 1994 Rick went to work full time for Owens Leasing after the move to Trism. Rick has moved from dispatcher to the position of President and overseas all of the daily operations. Rick specializes in handling Port Operations for materials coming from and going to overseas locations for such customers as General Electric and other large companies. Rick is married to the love of his life (Tarrah) and has 3 beautiful little girls (Taylor, Sydney and Morgan). Rick is also Assistant Chief of the League City Volunteer Fire Department and dedicates many hours of his time to that organization. Rick and his family are also members of Sagemont Church and have dedicated their lives to following Christ. Stephen married Deah (Randy’s Daughter) in April of 2006 and came to work for Owens Leasing in February of 2007. He has learned the business under Randy and Rick. Stephen now handles different projects for customers all across the country. He has held many positions in his 35 years, from pipefitter to salesman and many in between. Stephen and Deah are involved in Sagemont Church along with our family as well. Stephen Says: “The Lord has blessed us both and we will continue to follow His guidance in our lives wherever He may take us”. Matt came to work for Owens Leasing part-time in 2008, while working on his bachelor’s degree at the University of Houston. After graduating in 2011 he came on full-time as a project manager. Matt handles the project freight for all of our customers. True to the family business, Matt is brother-in-law to Rick Owens. He and his wife Lauren have two boys, Owen and Olsen and enjoy spending time with them along with all of their extended family. 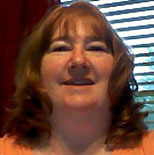 Allison joined our team in April 2012 to assist with Administrative Support. In the short time she has been a part of this company she has gained knowledge with ease in the trucking industry has become a valuable team member. 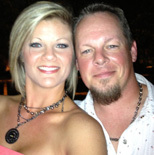 Allison worked for X-treme Air for several years before she became part of the Owens Leasing family. Allison was born April 2nd, 1975 in Houston, TX of two proud parents whom reside in League City, TX. 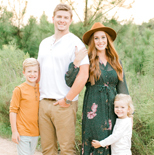 Allison is a devoted wife and mother of three children, TJ, Raven, and Jason Jr. She is very dedicated to her career and her family and strives to exceed all expectations in all areas of life. Allison is a Believer and has always had faith that with God all things are possible. Barbara is the newest addition to the Owens Leasing family. She officially started work in November of 2017 and will be learning the business from everyone in the office. Barbara and her husband Mike are new empty-nesters. Their son is a career fireman and their daughter recently started attending Texas A&M University. She is anxious to get back to work after dedicating the last 21 years raising her two amazing children. Prior to the transportation industry Paula spent 13 years as Quality Control Mgr in the financial research field. 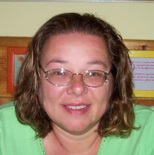 After relocating to SW Florida (Paradise), Paula entered the transportation industry in 2001 working at a company that managed the transportation for a major energy company. She started out tracking shipments and setting up truckloads. Prior to leaving, she spent the last two years managing a team responsible for the Aero Energy division. Paula Joined Owens Leasing in Dec 2006 with Kelly Johnson as a satellite office in Florida. 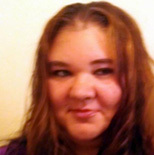 She has continued working with project freight and high profile shipments requiring continuous monitoring. Paula is married to her lifetime partner, Alan Johnson, who has been known to answer the phone when she is busy. Paula is the mother of three children, Alan Jr, Wayne and Kelly and just recently became a proud grandmom of Nicholas. Started working in transportation in 2003 by monitoring shipments from pick up to delivery. She went on to work in the custom’s end of the business. Kelly monitored shipments going through custom’s clearance, dealing with custom’s brokers to obtain clearance. After deciding to DESERT her parents and move back to her hometown in Maryland, she went to work for a major gun manufacturer (Baretta) overseeing their warranty shipments. 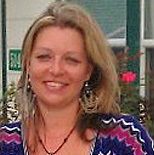 She joined Owens Leasing in Dec 2006 with Paula and currently works part time assisting with phone calls and tracking. In addition to working with Paula, she is a licensed daycare provider and is in her third year of obtaining a degree in Psychology.